I just found a really popular book available for free on Kindle today! 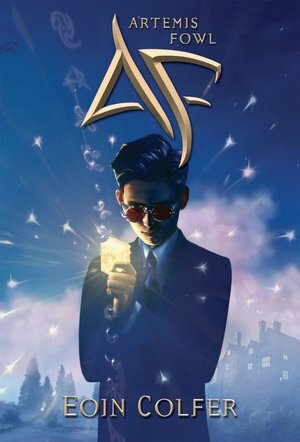 Whether you haven't gotten around to reading it yet, or would like a digital copy, Artemis Fowl book one is available for free! Sorry, this one isn't available for free for the Nook. Enjoy! Grab it now while it's free! As part of the blog tour for "Blame it on Texas" by Christie Craig, I'm happy to host a giveaway for a copy of the book! 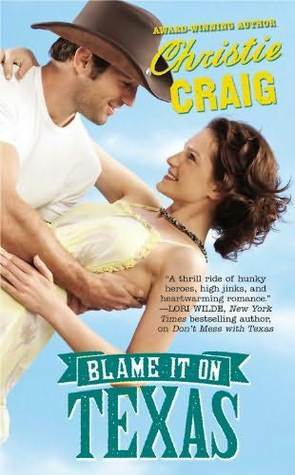 The publisher has generously provided a copy of "Blame it on Texas" for a lucky follower of my blog! 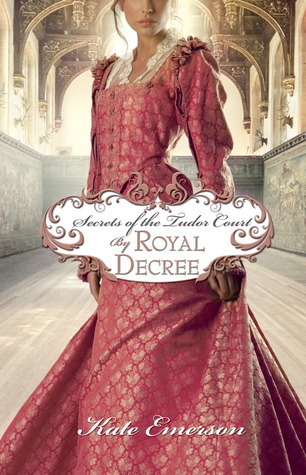 I really enjoy this author's historical romances, there is no doubt that she is an excellent writer. The first "part" of this book was amazing, I was totally addicted to the romance between Theo and James. However, Part II really went awry for me. It just jumped ship (pardon the pun) and went so far out into left field that it stopped being believable for me. If I were reviewing just Part I of the book, I would give it 5 stars, hands down. In Part I, the romance was very sweet, and very believable. Theo and James were best friends before they became romantically involved, so you could really see where their feelings were coming from. Part of the sweetness of the story was because they were both so young, 17 and 19. I really liked where the story was going with them being so young, but then in Part II, they aged 7 years, and then it became the typical story of grouchy spinster-type woman and world-weary, over-experienced man. Sigh, I really enjoyed the uniqueness of their sweet, young romance at first. I enjoyed reading about Theo's outrageous fashion sense in the beginning. Her fashions were detailed, and it was fun to read about. In Part I, James was an interesting mix of brooding temper, and very sweet and loyal husband. Their personalities at the beginning were fascinating to read about. They just turned cliche in Part II. Bottom Line: Even though I was disappointed in Part II, the book is still worth reading just to enjoy the sweet romance in Part I. Check out the rest of the stops on the TLC Book Tour here! Another of my favorite historical romance series! Check out all of the amazing giveaways I have running right now! Most have low entries so your chances of winning are great!! Casablanca Classics! Classic romances back in print. 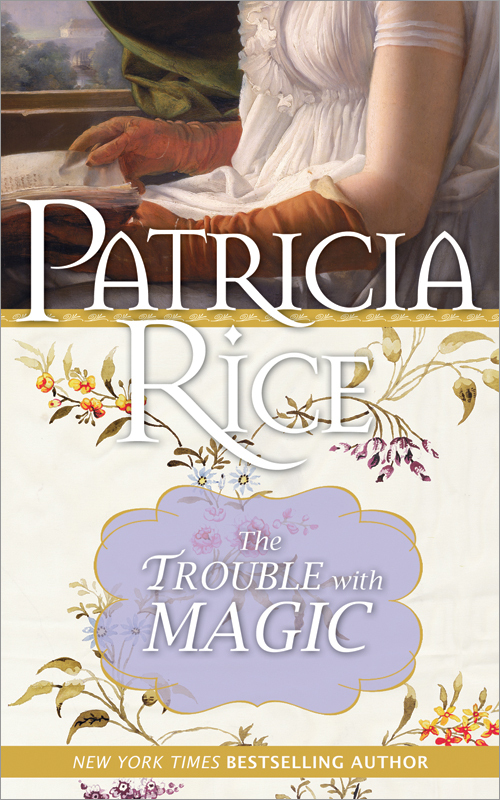 Inspired by the book "The Trouble with Magic" by Patricia Rice, I'd like to ask what magic power you would like to have or your favorite book with magical elements. Leave your pick in the comments section and be entered to win a copy of "The Trouble with Magic", sponsored by Sourcebooks! Sourcebooks has generously provided a copy of "The Trouble with Magic" for a lucky follower of my blog! 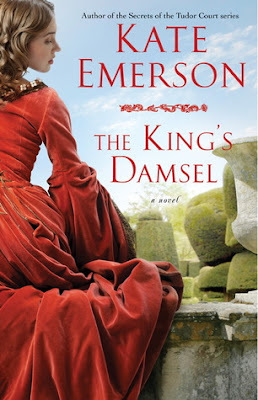 Since Kresley Cole has written historical romances, she's already an author on my radar. I'd love to see what she does with YA. Poison Princess is just too cool of a title, too, I love it. My only question is, is her love interest way older than her? He looks way too old for YA in my opinion, what do you think? Giveaway and Blog Tour: "An Echo Through the Snow"
As part of the blog tour for "An Echo Through the Snow" by Andrea Thalasinos, I'm happy to host a giveaway for a copy of the book! 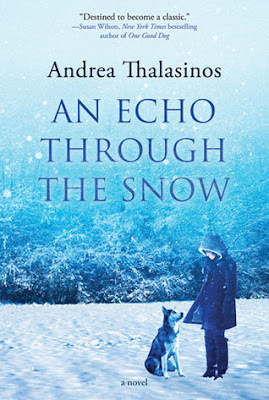 "An Echo Through the Snow"
Alternating between past and present, telling of a struggling Chukchi family and a young woman discovering herself, An Echo Through the Snow takes readers on a gripping, profound, and uplifting dogsled ride to the Iditarod and beyond, on a journey of survival and healing. MADISON, Wis. – It's 1992 in the Red Cliff Indian Reservation on Lake Superior and Rosalie McKenzie has several lifetimes already packed into her 18 years, including a long line of dead-end jobs and a destructive marriage. Stuck and feeling hopeless, she can only envision a bleak future for herself...until she meets Smokey. 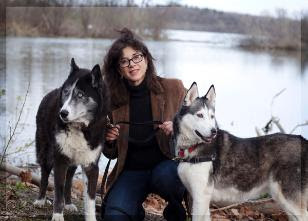 The exquisite Siberian husky is suffering greatly from neglect, and Rosalie, moved by more than just a gut feeling, sticks her neck out and rescues him. United by a bond deeper than love, the two become a natural pair as they enter the world of competitive dogsled racing. Curious about the history behind this sport and ancient breed of canine, Rosalie digs around and discovers a rich background colored by tragedy and maybe even the supernatural. Through of a series of mysterious events, her life begins to intertwine with that of Jeaantaa, a young Chukchi woman from eastern Siberia, who lived in the early 1900s. When Stalin's Red Army displaces the Chukchi in 1929, many were killed and others lost their homes. Jeaantaa's devotion to her Huskies, called Guardians, creates a rift with her husband and with the ancient ways of her people, and her stunning choice haunts her family for years to come. When Rosalie's life in the present day begins to summon the spirit of Jeaantaa, all the strength and potential she failed to see in herself earlier can no longer be denied, and the two narratives meet together in a dramatic present-time conclusion. An Echo Through The Snow (Forge, August 2012, Hardcover, $23.99) is ultimately a story about the relationship between unlikely people who forge ahead with the belief that a better world is possible. "Much of my inspiration for this novel has come from watching my students over the years," says Thalasinos, a sociology professor. "It's been moving to note how resilient they are; how they bounce back from trauma and move on to find their lives and save themselves." For ANDREA THALASINOS, it was the newspaper ad that changed everything. A husky puppy needed a home. Thalasnios, a sociology professor at Madison College, and naturally curious about origins, delved into research about this particular breed. What she found out about these little-known historical and political events spanning 60 years; they inspired a novel. She lives in Madison, Wisconsin with her own dogsled team. Find out more on www.andreathalasinos.com. The publicist and publisher have generously provided a copy of "An Echo Through the Snow" for a lucky follower of my blog! I actually received this one last week, but this is the newest one in the series, so I wanted to share it again! 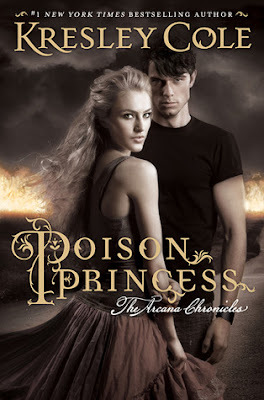 I usually don't like contemporary romances at all, but I loved this one! It's free, and I highly recommend it! You can check out my review here. 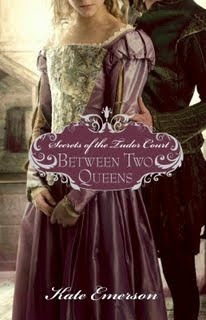 I love a good Harlequin Historical book! And this one is free! I have a lot of great contests going on til the end of the month! Check them out and enter now! 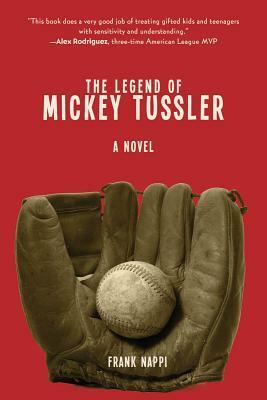 Also, you can enter to win autographed copies of both Mickey Tussler novels by Frank Nappi at the author's website! Check it out, these are great books! Enter here! As part of the blog tour for "Big Sky Mountain" by Linda Lael Miller, here is today's excerpt from the scavenger hunt! I'm also hosting a giveaway for a copy of the book! 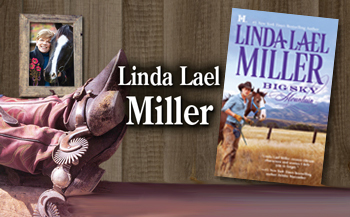 BookTrib is hosting a great contest including the book and a cowboy boot necklace!! With his rugged good looks, vast wealth and family name, hell-raiser Hutch Carmody is still the golden boy of Parable, Montana. 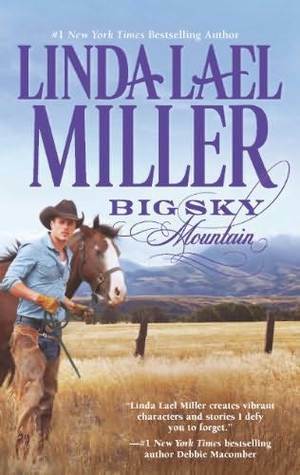 But he's done some growing up—making peace with his illegitimate half brother and inheriting half of Whisper Creek Ranch, which should have been all his. 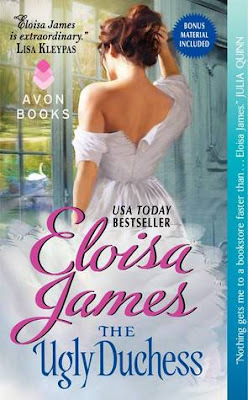 These days, Hutch knows there are some things money can't buy: like the heart of loving, ladylike divorcée Kendra Shepherd.Kendra's quiet mansion reminds her of what she wants most—a devoted husband and the pitter-patter of little feet. She can't get Hutch Carmody out of her mind. But a rough-and-tumble cowboy like Hutch, coming home for family dinner? Seems crazy! Then again, crazier dreams have become reality under the vast Montana sky. Somewhat to Kendra’s surprise, Madison slid down off her lap, Rupert the kangaroo dangling from one small hand, and approached the older girl, albeit slowly. “Okay,” she said, her voice tentative. Joslyn, meanwhile, lumbered over to the table, pulled back a chair and sank into it. She looked incandescent in her summery maternity dress, a blue confection with white polka dots, and she fanned her flushed face with her thin white clutch for a few moments before plunking it down on the tabletop. 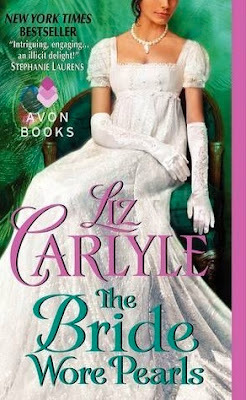 “Do you need to lie down?” Callie asked her daughter-in-law worriedly, one hand resting on Joslyn’s shoulder. Madison and Shea, meanwhile, were plundering the cookie jar. A swift tenderness came over Kendra as she took it all in—including Opal’s bluster. BookTrib and the publisher have generously provided a copy of "Big Sky Mountain" for a lucky follower of my blog! Giveaway and Guest Posts for Pleasures to Seduce Blog Tour! 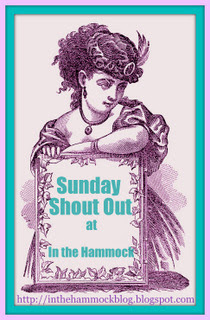 Today, I'd like to welcome two fantastic historical romance writers to In the Hammock for guest posts! 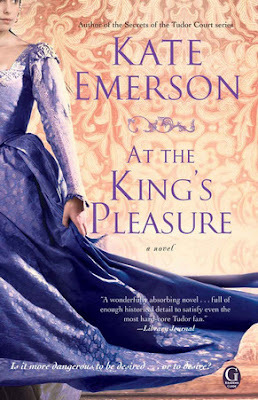 Jennifer Haymore is the author of "Pleasures of a Tempted Lady" and Nina Rowan is the author of "A Study in Seduction." Both novels are new releases from Forever Romance. As part of the Pleasures to Seduce blog tour, I also have a giveaway for a copy of each book! As a writer, it’s so easy to procrastinate. There are so many ways to do it! Perhaps worst of all, much of this procrastination can be done in the name of “promotion” or “research,” making it so easy to rationalize the time that’s spent away from writing. And that time commitment can be absolutely enormous! In fact, I think between promotion and research, I could make “procrastination” a full-time job! First and foremost, I know my number one priority is to write the best book I can. But once that book is written, I need to promote it. I need to research the next one. I need to continually work on improving my craft. All of this is important, right? I do think, in this day and age, most of it is necessary. And sometimes it can be a really fun diversion from the comparative loneliness of writing. But as a writer with a young family, it can be an incredible challenge at times to balance it all. I’m definitely trying! What are some of the ways YOU procrastinate? 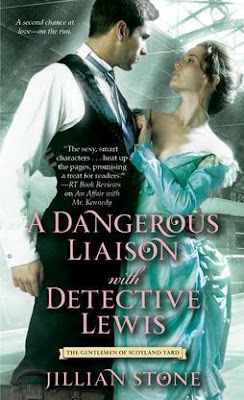 A dark, dangerous secret…an explosive passion…a clash of brilliant minds…a provocative scandal, and….insects? When I started writing A Study in Seduction, I was mired the story of Lydia and Alexander’s intense, passionate relationship. I certainly didn’t expect to delve into research about Victorian entomology, the scientific study of insects, but when I started to write the character of eleven-year-old Jane Kellaway, she led me right toward butterflies, bees, grasshoppers, and all sorts of other creepy-crawlies. “Oh, come on, they’re fascinating!” she replied. She was right. The nineteenth-century obsession with nature is evident in many Victorian pastimes, including fern-collecting, nature painting, gardening, bird-watching, and amateur entomology. Sketchbooks and diaries abound with drawings of various insect species. The collection and display of insects, especially butterflies, was also a very popular pastime. While many Victorian women studied nature in one form or another, one woman in particular made important scientific contributions to entomology. Eleanor Anne Ormerod (1828-1901) had an early interest in insects and eventually published entomological journals and handbooks. She became the consulting entomologist to the Royal Agricultural Society and lecturer at the Royal Agricultural College. With her shared love of insects, I like to think that Jane might grow up to be a scientist like Eleanor! The other characters in A Study in Seduction are well acquainted with Jane’s scientific fascination. In one scene, Alexander gives Jane a collection of books by John Curtis called British Entomology, a catalogue still considered to be one of the greatest nineteenth-century entomological works. With detailed text and exquisite engravings, the final product comprised sixteen volumes covering 770 insect species. Needless to say, Jane is thrilled to receive such a gift, especially the volume on her favorite butterflies. I share Jane’s appreciation of butterflies, having fond memories of visiting Pismo Beach, CA, where monarch butterflies migrate each year. Thousands of orange-and-black butterflies cluster on the eucalyptus trees in a vibrant display of color. Jane would most certainly love it. Do you have a favorite insect? Do you think of them as pests or, like Jane, as objects of fascination? Thank you, so much for stopping by, Jennifer and Nina! It was great having you here! Did you know all along that the lost sister Meg would return? Jennifer's answer: I didn't. 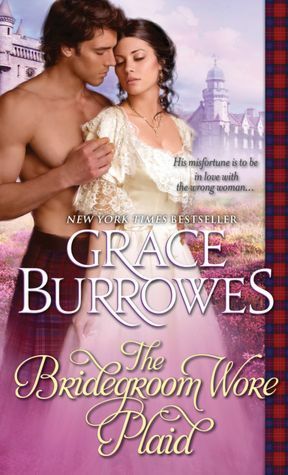 When I was writing the beginning of CONFESSIONS OF AN IMPROPER BRIDE and thinking where the series would go, I had a lightbulb moment and thought, wouldn't it be great if I could bring Meg back for book 3? The more I thought about it, the more my imagination ran wild and the more excited I got. I was afraid of asking my editor about it, thinking that she wouldn't go for it. But she did, and I was so excited to get to work on PLEASURES OF A TEMPTED LADY (but I still had books 1 and 2 to finish at that point!). Forever has generously provided 2 sets of both books for a lucky reader of my blog! The two winners will each receive a copy of "A Study in Seduction" and "Pleasures of a Tempted Lady." Giveaway and Review: "Heroes in Training: Zeus and the Thunderbolt of Doom"
"Heroes in Training: Zeus and the Thunderbolt of Doom"
After pulling a magical thunderbolt from a stone, ten-year-old Zeus goes on the adventure of a lifetime in this thrilling start to a brand-new series!The terrible Titans—merciless giants who enjoy snacking on humans—have dominated the earth and put the world into chaos. But their rule is about to be put to the test as a group of young Olympians discover their powers and prepare to righteously rule the universe.... Ten-year-old Zeus is mystified (and super-annoyed) by the fact that he keeps getting hit by lightening. Every. Single. Year. He also longs for adventure, as he has never been far from the cave where he grew up. Zeus gets his wish—and a lot more than he bargained for—when he is kidnapped by dangerous, giant Titans! In self-defense, Zeus grabs the first thing he sees—an actual thunderbolt he pulls from a stone that is covered in mysterious markings. Zeus is the only one who can decipher the markings, and sets off on a quest to rescue his fellow Olympians from the evil Cronus. Armed with his trusty thunderbolt (named Bolt, of course), Zeus is on an adventure of a lifetime—and a journey to fulfill his destiny as King of the Gods. This is the first book in the brand new Heroes in Training series by the authors of the Goddess Girls books! This time, the books focus on the boy gods. The two series aren't related, so we aren't reading about the same Zeus and Poseidon as we see in the Goddess Girls books. I think this book gets the series off to a great start. Lots of fun and adventure with great characters! It turns out Zeus wasn't always the all-powerful leader of the gods that we know about. 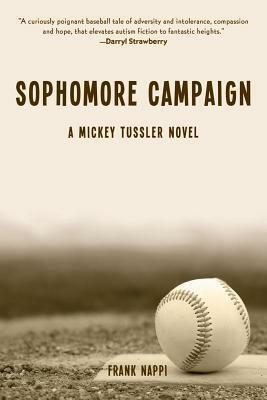 He was a somewhat awkward tween boy on an adventure, hardly knowing what he was doing. This is a completely new spin on Zeus, I've never seen him like this before. It's really refreshing and realistic at the same time. The authors do a great job of modernizing his story to make it accessible to today's young audience, while still teaching the basic legendary stories. The illustrations are great and they add a bit of a comic book or graphic novel feel to the book. My favorite part of the book was Zeus' thunderbolt, Bolt. Bolt had his own personality even though he didn't speak. He was so cute, almost like a pet. I really enjoyed reading about their adventures together. Another great character was the Oracle. She was so funny, and definitely will appeal to young readers. Ironically, she can barely see the future through her often fuzzy, oversized glasses. It's not all about the boys though, there is an appearance by a sassy, 10 year old Hera, and I can't wait to see the direction their friendship goes. It will be great to see what adventures Zeus, Poseidon, and Hera find next. Bottom Line: A fantastic start to a new series by two of my favorite MG authors, this time following the adventures of the boys. Joan Holub and Suzanne Williams have generously provided a finished copy of "Heroes in Training: Zeus and the Thunderbolt of Doom" and a bookmark for one lucky reader of my blog! 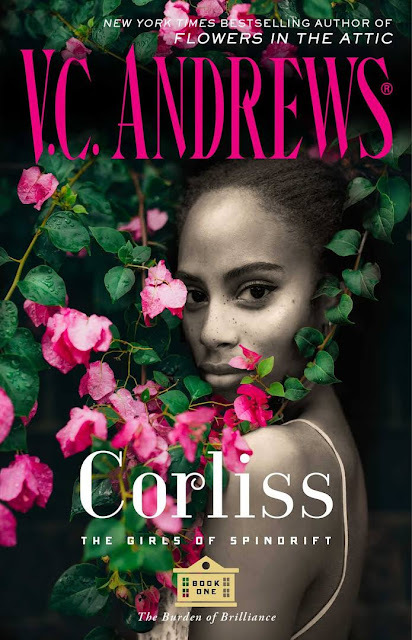 If you think this book sounds great, check out my reviews for ALL of the books in the author's other series, The Goddess Girls! This month, In the Hammock Blog has a fantastic sponsor: The Sweet Life e-novellas by Francine Pascal! 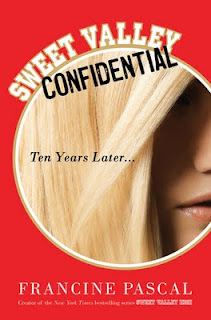 You may remember my review last year of "Sweet Life Confidential: Sweet Valley High 10 Years Later." It was a fun, addictive read! 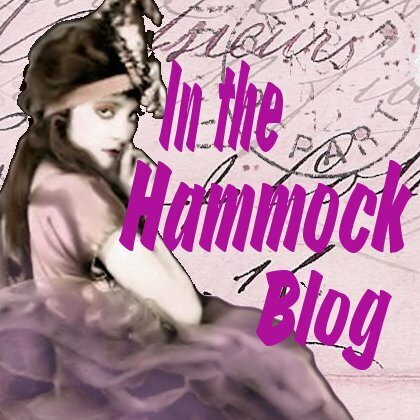 This new series of ebooks are the continuation of Jessica and Elizabeth's life in their 30s. If you thought the Wakefield twins were scandalous in high school, wait until you read about them now! Each ebook novella is only $1.99! There are 6 all new stories! The first novella-length episode – THE SWEET LIFE #1 – begins three years after the events of Sweet Valley Confidential; Elizabeth and Jessica Wakefield are back in Sweet Valley and inseparable once more. Things are looking up for both twins: Elizabeth is a star reporter at the LA Tribune with a popular blog, and Jessica’s PR career is on the fast-track. But while the professional lives of the Wakefield sisters are secure, their personal lives may be in jeopardy. Jessica, now a mother, finds that managing parenthood, marriage, and a job is harder than she expected, while Elizabeth and Bruce must face a scandal that could strengthen their bond…or tear them apart for ever. THE SWEET LIFE #1 takes Elizabeth and Jessica Wakefield through a new chapter in their well-chronicled and beloved lives. This dramatic first installment and cliff-hanger ending will leave readers breathless for the next episode. Buy all 6 ebooks at Sweet Valley Ten Years Later! Thanks for taking the time to visit this lovely sponsor! FTC Disclosure: "The Sweet Life" is an advertising sponsor of this blog. Rance Welham, the Earl of Lazonby, has survived scandal and disgrace, even evading the Queen's justice at the end of a hangman's rope. Now he's about to gamble everything on something far more dangerous--desire. An exotic and elegant beauty, Lady Anisha Stafford fled her native India to seek refuge within London's secretive St. James Society. But accepting protection from someone called a cold-hearted killer is a double-edged sword . . . especially when he's the most intriguing man Anisha has ever laid eyes upon. In a world where treachery abounds, no one can be trusted--and no true passion can be denied. Together, these two tempestuous souls will risk their lives for a love that could redeem them . . . or destroy everything they hold dear. While I had a difficult time getting into this book at first, I ended up really enjoying the romance by the middle and end of the book. At the beginning of the book, a lot of the story revolved around the mystery instead of the development of the relationship between the two leads. Once the plot focused on the romance, I really loved their story. Anisha and Rance had a fiery relationship, mostly based on a friendship. I really liked this angle, they bickered so much but always with a backbone of respecting each other, never those horrible, nasty fights you sometimes see played off as 'romance.' They had some fun bantering, and their favorite nickname for each other was "old thing", not something I'd like to be called by my love interest, but it worked here, and showed how they really were old friends. This book is part of a series, and I hadn't read the previous books. While this one reads perfectly well as a standalone novel, I did feel like I was missing out on the overall picture. Sometimes all the characters involved in the mystery, as well as the main conflict itself, became a bit overwhelming and confusing. I would have loved to see more family members and friends being the secondary characters instead of players in an overall mystery scheme. Anisha's brother, the character who ties Anisha to Rance in the first place, is barely seen, as are her children. Anisha's two sons seemed like an afterthought, and at one point near the middle of the story when their names were mentioned, I had no idea who they were. After that point, Anisha actually interacted with them during a few scenes, but they still seemed to be just "there" not really adding anything to the story. Bottom Line: Once I got into the book, I loved the two leads and their romance! I just would have preferred the backdrop to be less mystery-oriented.